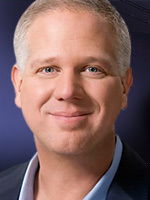 Conservative talk show host Glenn Beck has had a CNN Headline News show for only five months, but for each month its ratings have increased, and soon the show will overtake "Hardball" with Chris Matthews. During the "Fox News Sunday" interview between Chris Wallace and Bill Clinton, the former president suggested ulterior motives for bringing up his administration's role in failing to prevent 9-11: "You set this meeting up because you were going to get a lot of criticism from your viewers because Rupert Murdoch's supporting my work on climate change." "You launched it — it set me off on a tear because you didn't formulate it in an honest way and because you people ask me questions you don't ask the other side." But in yesterday's "Political Grapevine" segment of "Special Report with Brit Hume," Hume said that Chris Wallace had indeed asked the same questions of Donald Rumsfeld. In the stampede of books attempting to make their mark this season comes THE WAY TO WIN, by longtime political reporters Halperin and Harris. The political director of ABCNEWS and the national politics editor of the WASHINGTON POST make it official in their new insider tome on DC politics and how it's played: The four words in every newsroom and campaign headquarters are: Have you seen DRUDGE? The Ohio chapter of CAIR, the Council on American-Islamic Relations, put out a press release on NewsWire about its success in getting a local car dealership not to run radio ads declaring a "jihad" on the car competition and "Fatwa Fridays." Instead, will the dealership now run "Religion of Peace" Wednesdays? Liberals at the University of Georgia demonstrated their trademark tolerance by sabotaging the conservative student paper, The Georgia GuardDawg. The four writers of an upcoming Ann Coulter-bashing book say they want to remain anonymous out of fear of violence from "gun-toting, abortion clinic-bombing" conservatives. As long as they don't say a word negative about Islam, their lives are safe. What's more likely is they're afraid of a verbal/written counterattack by Coulter herself, one that is better written and more skillful and targeted at the actual authors. MSNBC's new general manager Dan Abrams is trying a few new things to increase ratings for the perennially third placed news channel. One is to have its hosts "punch up," meaning attack higher rated TV shows in the hope that viewers from the more popular shows will flip channels to see what's going on. On Sep. 18, "conservative" (the kind of conservative MSNBC will stomach) host Tucker Carlson made a deliberate grab at Bill O'Reilly's viewers: "You don’t have to [watch] because we’re gonna watch it for you." Hilary White tracks how the Pope's scholarly lecture on Muslim-Christian relations was spun into a hate-filled tirade by manipulative media outlets. What is fact and what is media coverage are never the same, and White tracks the "meme," how the coverage of the Pope's remarks was slightly altered over time. Media outlets expect the masses to be beholden to these manipulative techniques, and expect politicians to hyperventilate over the latest version of events. Austin Bay has a new term to describe the technique used by the media and Muslim activists to manipulate fake events in order to inflame Muslim outrage: "CBS ambush." The ambush technique coordinates blood-spilling violence with sensational imagery and rhetoric using a dispersed network of media operatives, guerrillas and terrorists. Networked, Coordinated Blood-spilling plus Sensationalism -- hence the technique's acronym: the CBS ambush. The media hyped Muslim outrage during the first Gulf War. Remember the "Arab street," that riot-in-the-road featuring flammable Israeli flags, Saddam Hussein posters, clenched fists and chants threatening "Death to America"? The street may have lacked pavement and a fire hydrant, but it had beaucoup television cameras. New "The View" co-host Rosie O'Donnell recently sparked controversy by saying that "radical Christianity is just as threatening as radical Islam." Her behavior has been so offensive, reports the National Ledger, that she frequently brings conservative co-host Elisabeth Hasselbeck to tears on the set. Why can't you conservatives be more like this, unelectable? That is the message of HBO's documentary, "Mr. Conservative," profiling the life of Barry Goldwater. Many Democrats are quoted praising Goldwater, which should set off alarm bells that the purpose of this seemingly congratulatory 90-minute film has ulterior motives. Blame it on talk radio. That is what Washington Post reporter Michelle Boorstein accepts as the reason for an increase in the harassment of Muslims in the U.S. It has nothing to do with terrorist attacks or threats of violence against those like the Pope who dare question any aspect of Islam. In a media ranking of all those who are capable of committing a sin, talk radio hosts are near the top, while Muslims are close to the bottom, between baby lambs and blind orphans. During today's Live Discussion at WashingtonPost.com, columnist David Broder took heat from liberal readers who asked him to explain why he said the press should apologize to Karl Rove for the stink it made over the non-issue of Valerie Plame. Failing to call Islam a "religion of peace" can get you in a lot of trouble these days. Agence France Presse, a syndicated news service like the AP, says Pope Benedict XVI committed a "blunder" by saying, among other things, that Islam was a religion "spread by the sword." Tony Snow, the still fairly new White House press secretary who's been at the job for only four months, is getting more "laughs" out of the gathered reporters than his predecessor, Scott McCellan. Snow was a veteran journalist and commentator before becoming press secretary, giving him much more experience than McClellan had before taking the job. Snow has been more adept at handling McClellan's old nemeses, Helen Thomas and David Gregory. Think Progress reports, mournfully, that Air America Radio will declare bankruptcy. The student newspaper of the University of Virginia, the Cavalier Daily, has gotten national attention for two cartoons lampooning Catholic beliefs. Some ultra-PC alarmists inside the BBC are fretting about a video made to spoof assistant editor Simon Torkington's new gig at Al-Jazeera. The video features his colleagues dressed up in Middle Eastern garb, singing a parody song. A company statement called the video "illjudged, and we will be speaking with those involved." This means that censorship now extends to private parties for the self-flagellating BBC. In forty years, hopefully Al-BBC executives will be just as abhorrent of anti-European jokes.